Start with what you need. 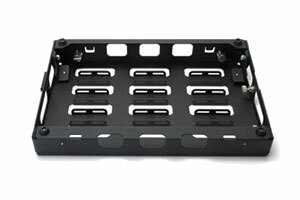 One Stompblox can fit 4-6 pedals. Two Stompblox can fit double that. Obviously. Add Extend to attach a power supply & add 4 more pedals. Build your pedalboard, mount your effect pedals. Get another pedal, decide which gets benched. Sound familiar? 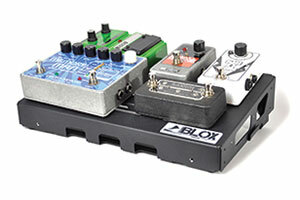 With Stompblox pedal boards, you can simply connect another Stompblox unit and no pedal is left behind. With built-in thumbscrews, Stompblox pedal boards are easy to connect and disconnect. Connect different modules to make your perfect pedalboard. 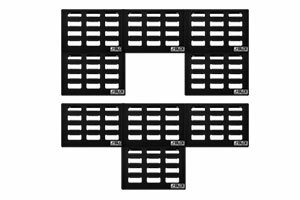 They are easy to take apart too so you can have a large pedalboard at home, and take a smaller portion to the gig! Yes. You can make a rectangle. But that’s just the start. An “L” accommodates a mic stand, an N makes it easy to reach looping and tap tempo switches. It’s your pedalboard, make it work for you. 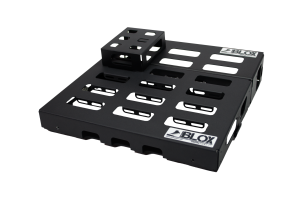 Mount nearly any power supply to your pedal board with the Stompblox Extend. Bass and acoustic players might find it handy for mounting a Direct Box too. And a few extra inches to mount effect pedals is always handy. Check out the Stompblox modular pedal board demo by Pro Guitar Shop’s Andy Martin! Sign up for product and promotions information. BASS PLAYERS: Bass players typically get 1 Stompblox and often an Extend. 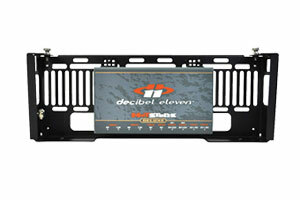 This allows you to mount around 5-6 mixed size pedals (including a wah) and a power supply on your pedal board. GUITAR PLAYERS: Guitar players typically have more effects than bass players so its hard to say what is typical. The most popular configuration is 2 Stompblox and 2 Extends. This allows you to mount your power supply and around 14-16 mixed sized pedals and an expression or wah pedal on your pedal board. Check out the Dealers page to find a Stompblox pedal board dealer near you or order your Stompblox pedal board online now.